It is hard to say that electronic music isn’t misconstrued. Most people see the genre as possessing little artistic merit, and as a specious caricature of the love for dance music in a wide-reaching hedonistic party scene. But factors like producers, DJs, promoters and even clubs have a very significant role to play in lending credibility to this genre, especially when it is meant to be associated with a particular place and time. Unfortunately for both Pakistani indie and electronic music, there is a serious dearth of all these things: bookers and promoters, labels, venues, festivals – the works. The economic and security circumstances here aren’t exactly favorable towards the possibility of a thriving scene either. In a way, this genre does not exist for the majority of Pakistani population – merely for those who can afford to delve into it – so a gap remains, waiting to be filled by whoever is interested. Any hope one might have of encountering a pulsating nightlife in the country, particularly in Lahore, is made redundant by a unique brand of conservatism prevalent in the local music scenes. Lahore, especially, is stuck in a cultural rut. On one hand lies tradition – purists dictating what art can, would and should be to maintain the “sanctity” of their glorious history, of “culture” and the past. And then there are those who are constantly looking for novelty, who want to break away from the mildness of such customs. For them, the impulse to fuse the past and the future together is the only way local art can make way to create a present. The city has been observing a rock and fusion music since a while now, as has the rest of Pakistan – therefore, the live music scene here is mostly dominated by such scenes and bands, and an overall traditionalist rocker mentality. Despite many talented individual musicians and bands, the majority seems reluctant to explore beyond conventional styles and instruments because of which the music scene seems worn-out to those who have made an effort to explore beyond these well-known but sluggish musical strongholds. Factors such as the internet and exposure to clubs abroad have also helped in exposing young blood to electronic music, and now, finally, to the rise of the first generation (of sorts) of electronic music in Lahore. But the groundswell surrounding this genre took time to receive attention in Lahore, as the city is still trying to break away from the fetters of electro house. At present, an increasing number of Lahori DJs happen to be proponents of a disco-influenced style but many electronic music fans aren’t still buying into the idea of such a scene existing, considering only a handful of local producers are peddling such sounds with any impact. Until the late 2000s, Lahore as well as Pakistan lacked proper electronic producers as most DJs here were a part of a staid circuit, playing mostly just at private parties in people’s homes, or at corporate events and weddings. Lack of awareness regarding the genre and limited access to equipment obviously meant that progress would be slow and in its premature stages, so for new music to flourish outside the mainstream ambit, Lahore always remained in a position to be exploited. Nevertheless, a number of musicians have let go of their previous rock roots to work on a unique sonic identity for themselves, thereby embracing digital technology at private parties as well as in their home studios. 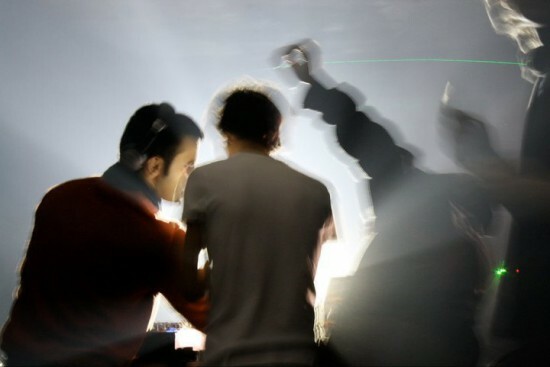 In 2010, the electronic music rave culture properly emerged in Lahore when a unique DJ collective called ‘Shut Up and Listen to the Music’ brought a breath of fresh air to the local scene by playing original mixes that people hadn’t heard before, rather than delivering everyday hits or remixes as was done at the time. The people behind the collective – organizers Hamza and Haroon Irfan, and DJs Talal Chaudhry, Imaad Manzar and Abeer Sheikh – have hosted around 4 large-scale raves with both local and international acts, as well as around 10 exclusive private events (like a “day rave”) in the city between 2010 and today, while constantly developing its own variety of house music. “The name summed up what we wanted from our event perfectly. We organized events all throughout 2010, touching attendances of up to 800 people, playing house, tech house, minimal, techno and deep house. The reason we had to organize our own events was because there was no such platform at the time available for us to just up and play our music or to do raves since Lahore doesn’t have any clubs or bars and neither is it legal to have them – though collective’s largest event, Shut Up 4.0, was a warehouse rave,” explained Imaad Manzar. According to Abeer Sheikh, “All of us wanted to introduce proper house and rave culture to the city, which prior to us doing so consisted of a few people getting together in a room, popping ecstasy and listening to mostly blaring trance music, the staple diet of most electronic music listeners in Lahore.” He recalled how he and Talal & Zoi (one of Toronto’s most capable recent acts comprising DJ Talal Chaudhry and his cousin Zohaib Bakhtyar) had just returned from Toronto. “At that time, the duo was on numerous labels like Dirtybird and Thoughtless Music. I was signed to Bleed Bloop Records Brazil. Talal & Zoi and I had just done our first official collaboration, and gotten signed to Philip Bader and Nicone’s label in Berlin, Dantze Records. We hit the Beatport Top 10 must-hear tech house charts within a week of releasing the track.” So after getting significant recognition abroad, the DJs decided that it was time to bring the culture and music that they loved so much to Lahore. He added, “The budget was around $1500 for the smaller gigs and around $9000 for the bigger raves. Shut Up 1 – an outdoor rave in tents – was invites only, not ticketed, and booze was on the house (which was bought from the police by the way). We have even provided people with merchandise such as glow sticks and Shut Up t-shirts. We never had any sponsors – apart from budgeting the events on our own, we had the help of a few of our friends and the occasional investor.” Imaad mentioned how the team had lost a lot of money to these events – “the only time we broke even was during Shut Up 4”. 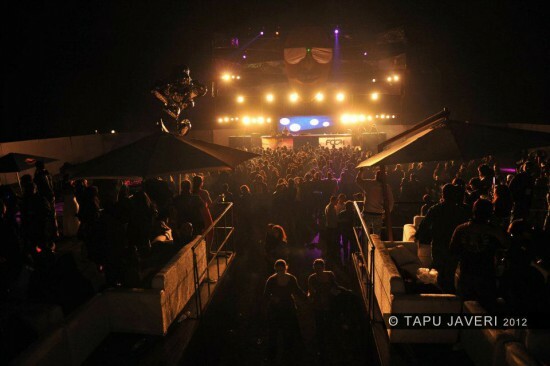 But it still decided to take advantage of the success of each event to order to sustain the next one, and the decision proved serendipitous, allowing the DJs to showcase their range over an extended format and develop their production chops outside of the international electronic music schema. Their inimitable path in music-making eventually led to the emergence of a distinctly innovative sound that has carved its niche in Lahore’s electronic music’s avant-garde. “Some of us in Lahore are producing our own music alongside being DJs,” explained Hassan Malik, known as ‘V i v i d’, a deep house artist signed to Suruba Records. “There are only a handful of DJs who can produce here. What Lahoris don’t know is that being just a DJ is considered to be a talentless art everywhere in the world. It’s really essential to be able to contribute to the general scene by actually making your own music as a producer.” Hassan has been featured in the deep house Beatport top 100 charts, and plays guest mixes regularly for radio stations, parties and raves. These DJs are anything but parochial in their musical approach; some of them strike a brilliant balance between their local inspirations and sounds from further ashore. It’s a subculture that transcends national borders and caters to universality. “I eventually want to make an album with lots of Pakistani samples. If Coke Studio could do what it did, I could try the same thing with electronic music too – fuse local influences into deep, melodic electronic rather than thumping party music,” said Talal Chaudhry. Perhaps this can help in merging different types of audiences together in a cultural sense, which currently isn’t possible outside the upper or middle class strata that the genre caters to in Lahore. Electronic music has also reached the stages of bigger music events, which have helped in outlining the true potential of the various sounds and beats by attracting audiences and providing a much welcome boost to the current scene. 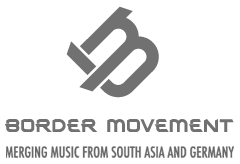 “The other group to organize such events on a large scale besides us was Full Circle Corporate Marketing (FCCM), a conglomerate of professional event organizers who provided the people of Lahore with a series of sponsored parties with the focus on electro house, and who even brought in a few international artists in 2011,” said Imaad. FCCM is run Fahad Rehman (Carousell Events) and Salman Ali (Insomnia Events), and is responsible for successfully organizing three Ministry of Sound events while bringing renowned DJs such as Dutch record producer Sander Kleinenberg and Canadian DJ Sydney Blu to Lahore to play with local Pakistani DJs such as Bilal Brohi, DJ Barrister and Getafix. “Salman and Fahad have been involved in organizing a lot of private parties featuring local Pakistani DJs, and have been involved in the EDM scene since years before my team,” Hamza pointed out. This Is Lahore! Sander Kleinenberg in Pakistan from FCCM on Vimeo. Another thing on the rise is the consumption of drugs associated with electronic music, such as MDMA, the iconic drug that makes it impossible to separate the history of electronic music from the listener’s drug of choice. The serotonin rush of the drug and house music beats go hand in hand – in order to analyze the development of the genre, the effect of the drug has to be taken into account. “Most of these events are being busted by the Anti-Narcotic Force (ANF) because of the influx of drugs. They are considered to be illegal because of the drug and alcohol consumption within. But who can blame these people – ecstasy is spreading like cancer on the streets! It’s the most popular thing among teenagers and regular party goers. There’s obviously more to the genre than powder in a capsule,” said Hassan. Such events also mostly attempt to avoid the 60% entertainment tax imposed by the government. “If this happened, holding such events would not be commercially feasible as most sound and lights equipment is rented, not owned. But in spite of the endless red-tape imposed on such events, it’s clear that Lahore is finally ready to host large format festivals,” said Imaad. 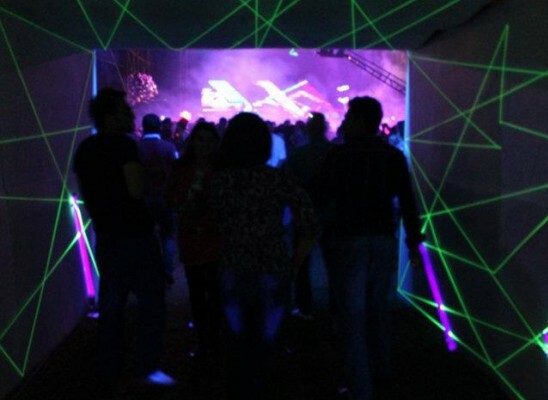 The electronic music scene in Lahore and attitudes towards it are definitely changing, but not altogether for the best. 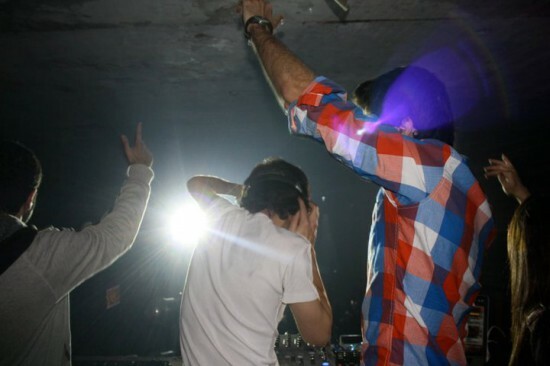 The genre has surfaced to win over a new (albeit tiny) army of competent producers here, and certainly appears to be growing in terms of listeners, but most Lahori artists are singularly interested in the monolithic dynamic of mainstream house, a sound encapsulated, and influenced in the city, by a superficial understanding of the genre of techno, trance, club and pop listening. There is no sight of other continually evolving sub-genres of electronica, such as IDM, breakbeat, downtempo, drum and bass and dub, anywhere in the city. Listeners here have no choice but to let go of melody and emotion for such unyielding minimalism, and from a DJ’s perspective, it becomes more about how many records are being “mixed” rather than whether the tracks themselves are any good. Therefore, the bulk of the electronic music circuit here can be called anything but boundlessly creative. Apart from that, there are other issues facing local musicians including lack of access to equipment, training and suitable venues. High import duties are a hindrance to the selection of gear – electronics and devices such as controllers, turntables, and synthesizers – and the prices of what is eventually available end up being more than the retail value in foreign markets. But the Lahori electronic music scene is definitely here to stay, showcasing a thriving achievement for its pioneers and faction of serious listeners. The city has finally embarked on a slow but steady path towards becoming an underground electronic music hotspot, in that it does not need approval from its traditionalists, and from even those who think that the scene highlights a profit-making opportunity and platform for new artists. One can now only hope that Lahoris would, one day, be seen continually rearranging their lives to the cadences of a proper electronic music culture, instead of catching only a fleeting glimpse of a scene that subsequently died in its own exhaust.